Strap yourselves in, folks, it’s time to ruin yet another timely classic by giving it the old “analyze it to death” treatment. And this time, we’re going back a ways. A long time ago, to be exact, in a galaxy far, far away. More precisely, we’re going to the ice planet of Hoth. If you’ve followed me for any period of time on Twitter, you’ll know that in addition to my predilection for alcohol made from juniper berries, I am also a staunch believer that the Rebels could have easily won the battle for Hoth. The battle is – at its heart – a classic defensive scenario. And with the addition of just a little common sense, some overlays, application of the warfighting functions, and a dash of combat engineer acumen, the engagement could have been a complete and total Rebel victory. And as a warning, you will never be able to watch The Empire Strikes Back again without being angry. The situation on Hoth was as such: a Rebel task force under the command of General Carlist Rieekan established defensive positions around Echo Base. The heart of Echo Base was the power shield generator which provided overall protection for the base from off-planet bombardment by the Empire’s star destroyers. This capability denied the Imperial Navy use of their chief weapons platform and forced them to deploy ground troops in a conventional force-on-force engagement. For the Rebels, General Rieekan provided overall command and control for operations on Hoth. However, Rieeken failed to establish cohesive staff operations, did not appoint a task force engineer for his defensive plan, and only made the decision to evacuate once Imperial ships had come out of hyperspace next to Hoth. Indeed, his instructions “prepare for ground assault” came just before the Empire attacked. Given that the Imperials could only have had one or two options to reduce the base, Rieeken should have had decision points lined up to be able to be proactive rather than reactive. Clearly he learned nothing at Galactic Command and General Staff College. Because of Rieeken’s inability to provide mission command, the Rebels were unable to coordinate fires, form an integrated defense, or even establish effective air sorties. These failures – and the subsequent loss of the base – must be laid at Rieeken’s feet. Rieekan can be credited with saving the majority of his force, yes, but his neglect of defensive preparations caused hundreds of needless casualties and nearly ended in Rebel disaster when their perimeter was breached so quickly. Stepping into the communication breach was Leia Organa – serving as operations officer – who provided task and purpose to the pilots of the Rebel task force and briefed them their mission, direction, fire support plan, and coordination measures. Because of this, the air arm of the task force was able to accomplish its mission. The land forces never received the same attention. General Rieekan’s opposite number was Lord Vader, who also failed to utilize mission command in his operations. Rather than provide vision, Lord Vader summarily executed his primary admiral in charge of fleet operations for making a tactical error. While this did inspire prompt movement from his subordinates, it was also created a risk-averse atmosphere. As the joint commander, Vader issued instructions to initiate planetary invasion while establishing a blockade around Hoth. Vader’s desire to always be in control led him to micromanage his commanders throughout the entire operation. Nothing like holographic technology to enable you to micromanage the hell out of your troops. General Veers landed his forces of All Terrain Armored Transports (AT-ATs) augmented by All Terrain Scout Transports (AT-STs) just outside the range of the Rebel shield generator. With only one avenue of approach, Veers arranged his primarily armored force into sections of AT-ATs in staggered column, providing maximum frontal firepower. He neglected to cover his flanks or to make coordination for Imperial engineers to clear any obstacles. Nor did he divide his force into sections – he simply headed straight towards the Rebel forward defensive line. Once within Rebel lines, he debarked his attached Stormtrooper Corps infantry to conduct mopping up operations. Veers was essentially an unimaginative commander. This would have played into Rebel hands had they adequately maneuvered their own forces. Timeline of operation on Hoth. A map reconnaissance clearly shows the advantages that the Rebels held in terrain. Click here for full image on Wookiepedia. As it was, Rebel land forces neglected a golden opportunity. 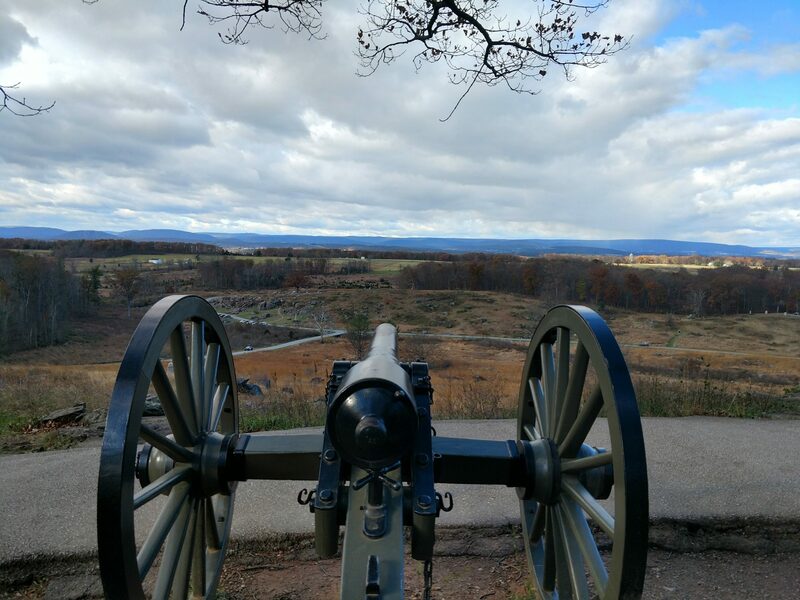 Their intelligence preparation of the battlefield had led them to build their base in the heart of a deep draw, where the only ground approach was through a long valley, flanked on either side by steep ridgelines. However, the Rebels decided that their only defenses were to be a few short lines of trenches backed by heavy weapons systems. Because they had committed themselves to a linear defense, they lost any ability to maneuver in the face of the enemy. They also allowed themselves to fall victim to the enemy’s primary forward-facing weapons on the AT-ATs. By neglecting to build any type of flanking positions, the Rebels lost their chance strike the Imperial armor from the sides and back, where it was the weakest. As mentioned, Rebel intelligence had done an excellent job of siting Echo Base. They also correctly determined the enemy’s most likely course of action – attacking down the valley without air cover. Their one failure was the identification of the enemy primary maneuver force composition as being mostly armored. The majority of Rebel weapons systems on the ground on Hoth – both mobile and fixed – were not rated to penetrate the armor on AT-ATs. However, this was partially mitigated through effective counter-intelligence that denied Imperial ISR (Intelligence, surveillance, and reconnaissance) assets knowledge of the ion cannon. This permitted the Imperial fleet to be brought within range, thus allowing a major precision strike to cut a hole in the blockade. Imperial intelligence operations with probe droids ceased as soon as Echo Base was located. Thus, Imperial forces had little in the way of understanding the Rebel strength, disposition, and composition. Fortunately for them, General Rieeken had not listened to his S-2 and so this Imperial intelligence shortcoming was never revealed. The incredible protection afforded Echo Base by the shield generator entirely negated the Empire’s edge in mobile firepower from their fleet of star destroyers. Imperial fires were relegated to an overwatch role as the fleet formed a blockade around Hoth. The Rebel fire control officer devoted all of her time to the decisive operation as determined by General Rieeken – the movement of all Rebel forces off the planet. Because of this, ground-to-air fire coordination was superb. The first shots from the ion cannon were fired just as the first escape package of aircraft was closing in on the nearest star destroyer. Because of the close coordination, they managed to keep the ion cannon a close-hold secret until the very last minute, thereby preventing the Imperial fleet from maneuvering out of range. Successful integration of fires with transport assets permitted the majority of Rebel forces to be evacuated successfully. Once again, however, the shaping operation of land defense was drastically undercut by the focus of all effective staff leadership on the decisive operation. No fire coordination plans had been developed for the land defense and heavy weapons did not properly integrate their fires to maximize their effectiveness. Nor were they given adequate protection from the heavy guns of the enemy armor. To make matters worse, Rebel fixed firing platforms were outranged by the guns of the AT-ATs, making their locations absolutely useless. Ground fires were therefore negligible. General Rieeken entrusted the air cover for the defense to Commander Luke Skywalker. Skywalker – who had gained notoriety for his destruction of the Death Star – was not a trained airspace coordinator. Nor was he an able squadron leader. His assault with snow speeders was right over the top of the forces he was supporting and straight into the guns of the enemy armor. Had he begun his approach over either the left or right ridgeline, Skywalker could have engaged the enemy armor in their vulnerable flanks and rear while keeping his ships out of the limited fan of fire that characterizes the AT-AT. What could have been an effective sortie ended instead in the loss of all ships after only destroying two AT-ATs. Commander Skywalker’s sortie did delay the Imperial attack somewhat, but barely made a scratch in it. The Rebel center of gravity was their fleet, including transports, supply ships, and life support ships. In getting the fleet to safety and preserving their ability to sustain themselves, they effectively managed to gain a strategic victory while enduring a tactical defeat. Poor maintenance nearly cost the Alliance Leia Organa and Han Solo, however, when the freighter Millennium Falcon nearly failed to start. Lack of spare parts for dissimilar ships was an endemic issue for the Alliance in all of its operations. Here is where the Rebel Alliance utterly failed to do its due diligence to provide its land component an effective chance to delay or defeat the Imperial armor. Ensconced on Hoth, the Rebels built only one small network of linear trenches backed by heavy weapons. With full knowledge of where the enemy was going to land an assault force, the Rebels failed to place any mines in the landing zone. They also neglected to plant minefields on the one avenue of approach, or even to place any anti-armor defenses such as ditches, berms, trip wires, or pits. Their linear fixed defense without adequate engagement area development left them very little time to react when the Imperial strike force landed. Once Imperial armor had overrun the forward line of defense, the Rebels did not have a retrograde plan with secondary fighting positions. There were no final protective fires in Echo Base to hold off the Stormtroopers long enough for the last remaining ground forces to escape. Instead, the Rebel ground troops were forced to evacuate individually, running over the snow in the open where they were neutralized by Imperial armor. Dozens of Rebel troopers were gunned down with no chance of escape. This failure of protection nearly cost the Rebel Alliance the service of Leia Organa, who was trapped in the command center when it was targeted by Imperial armor. Only the actions of a non-state smuggler enabled Organa to escape capture and probable execution at the hands of the Imperial forces. The lesson of the Battle of Hoth could be postulated as “ignore the warfighting functions at your own risk.” Rebel leadership possessed many advantages at the outset of the Battle of Hoth: superior intelligence, excellent terrain, exceptional protection from air bombardment, and experienced troops. However, each of these advantages was squandered because there was no system of unified command and control that disseminated plans in an orderly fashion. Rebel leadership continued to be plagued by breakdowns in leadership and planning as it had been in the Battle of Yavin 4. Next PostNext Is the Army’s Professional Military Education System Broken?